Gibson made sure to get RMC head coach Sean McDonaugh’s approval before making the change. The Stingers and the Ontario University Athletics conference RMC Paladins have a long history of holding preseason games against each other, making Sunday’s game part of an annual routine. “We’ve already been discussing a game for next year, but we’re going to call it a scrimmage right off the bat,” said Gibson. Gibson held team practices all weekend, including one on Sunday ahead of the encounter with RMC. As a result of the game not being an official exhibition match, Gibson was able to give the nod to some players he would wouldn’t have otherwise been able to use. On hand for the start of camp was new assistant coach Shane Thomas. Gibson and Thomas only first met last May when they took part in a coaching clinic with various high schools in Montreal. “Every coach was given one section [of the game] to lead and one section to be the assistant for and it just turned out that [Thomas] was leading a section about rucking and I was named his assistant,” said Gibson. “Within three minutes of working together, we were finishing each other’s sentences and it just clicked. “When he takes a group off to one corner and I take a group off to the other corner, we can guarantee that when the two groups come together again, there’s going to be cohesion,” added Gibson. One of the things coach Gibson was looking for on Sunday was to see if any of his newcomers could fill the boots of 2nd row jumper Marc Roche and scrum half Percival Graham, who both graduated last year. 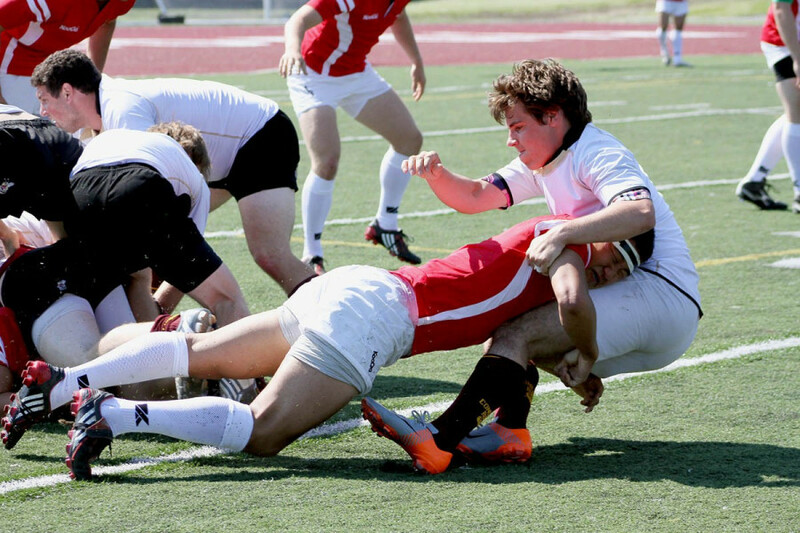 While he was not pleased with his team’s attempts at lineouts, Gibson was impressed with the play of second-year student and scrum half Marc Guibord. Gibson admired that Guibord, an independent student from Wendover, Ontario, was able to get up to speed after only meeting his teammates for the first time during the morning practice. Guibord was also a member of last year’s wrestling team. 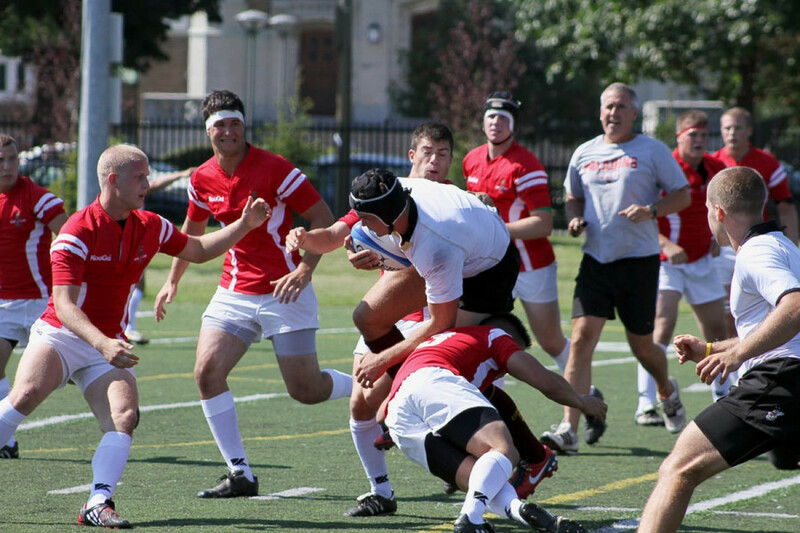 While Gibson is expecting the return of many of his veterans this year, the rugby team experienced a large turnover in advance of the 2009 season. However, Gibson said the turnover was for the best as it allowed him to employ a new team system and for his players to heighten their level of chemistry with one another. He said having the dome to practice in three times a week all last winter also helped his cause. 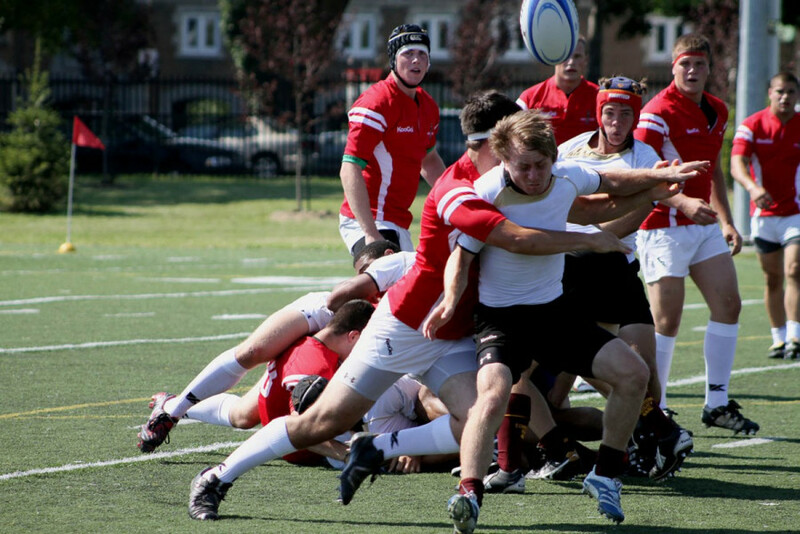 The men’s rugby team will finish its preseason agenda with a game against the Université de Montréal Carabins on Thursday, and will then travel to Kingston, Ont. for a series of matches, including one against RMC. Afterwards, the team will return to Montreal to hold open practices and finalize its roster.